Image Credit: Kentucky State Parks. These studies have led to the discovery of helium, the universe’s second most common element, proved (and then disproved) the existence of the planet Vulcan, and even verified Einstein’s theory of general relativity. As the centuries marched on, many of these discoveries were made possible by improvements in the apparatuses used to observe and record data from the eclipses. This week’s eclipse, combined with advanced technology and computing power, will result in a unique scientific asset that could ultimately outshine all previous discoveries. Enter Citizen CATE. 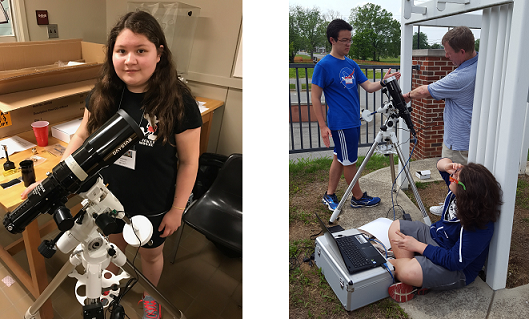 To make the most of this week’s event, the National Solar Observatory (NSO) created the Citizen CATE (Continental-America Telescopic Eclipse) Experiment. CATE volunteers were banded together into 68 groups that spread out across the path of totality to record the eclipse. 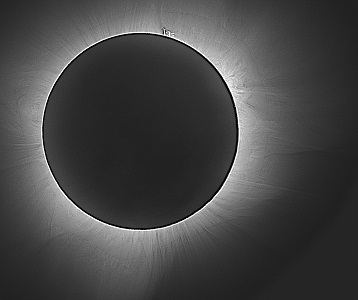 The goal of CATE was to produce a scientifically unique data set: high-resolution, rapid cadence white light images of the inner corona for the entire 90 minutes of the eclipse. 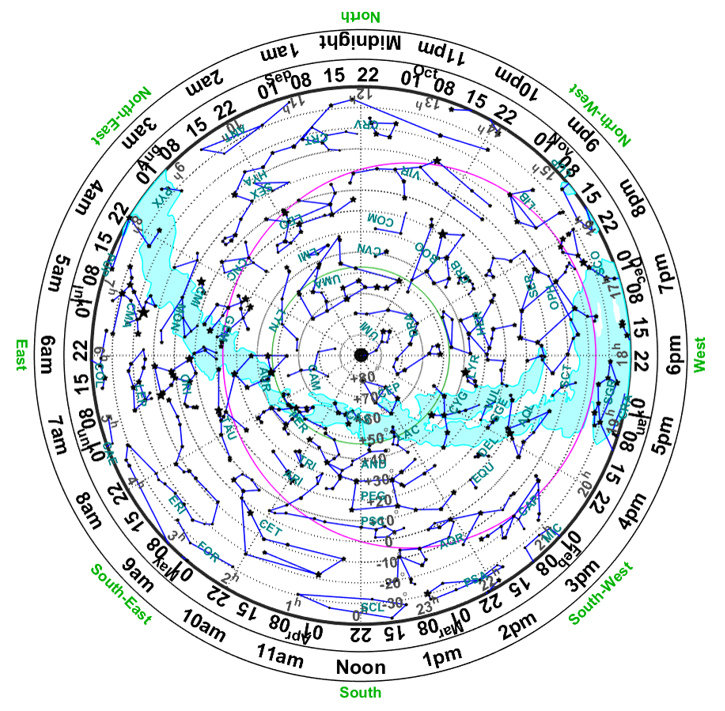 When complete, the combined data from the sites will give scientists a higher resolution map of the plumes’ locations. Scientists also hope to measure movement within the plumes using the extended observation session. The images from the Citizen CATE sites should increase understanding of the corona’s internal movements. Solar plumes are thought to be the origin of high-speed solar wind. Large solar plumes have the potential to interfere with the Earth’s power grids, GPS and satellite systems. In 1989, a massive solar plume knocked out power grids across North America, creating an outage that affected millions of people. To combine the data from various eclipse locations, each of the 68 groups used identical equipment. 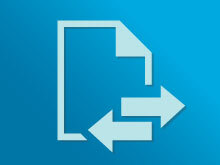 This was critical to ensure the data from each site could be combined into a single video. The equipment included an 80-mm refractor telescope from DayStar filters, a motorized mount and drive system from Celestron that tracked the movement of the eclipse, and a 5.0 MP Mono USB3 Vision camera. Each team also was given a laptop that ran an application written in MATLAB to control the camera and capture the images during the eclipse. 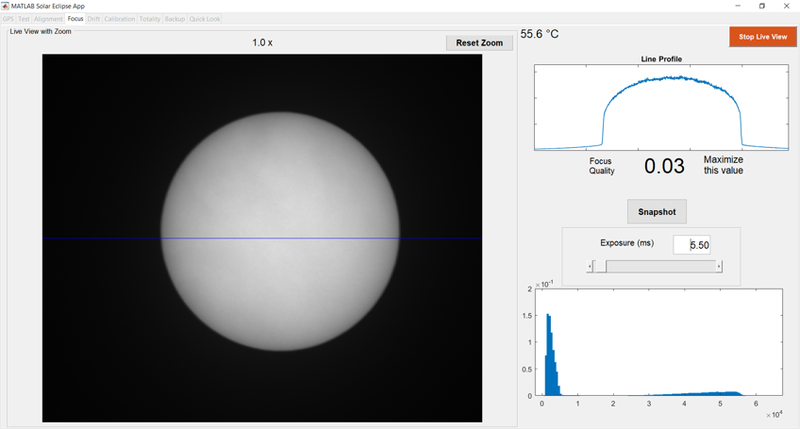 A live image histogram, calculated with the imhist function in Image Processing Toolbox, provided visual feedback for optimizing the exposure time. Each group captured 1,000 images of the eclipse as it traveled through their area. The teams then used MATLAB to create a high-dynamic range (HDR) image from each multiple exposure cycle. These images will be combined to create the 90-minute video of the eclipse. This HDR image was obtained from combining a cycle of 8 multiple exposure images. So far, 56 teams have provided data while five of the 68 sites were obscured by cloud cover. The remaining seven sites have not yet submitted data. Below is some of the video that has already been created. Once the team processes the video from all the teams, the full video will be available on the NSO site. Check back to see the video. I’ll post the link as soon as it’s available. 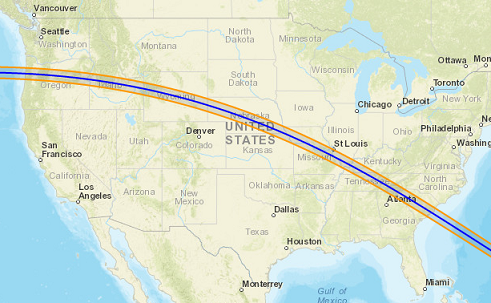 The last total solar eclipse that traveled across the entire U.S: June 8, 1918. The eclipse started on the west coast at 10:16 AM. It crossed to the Atlantic Ocean at 2:46 PM. The eclipse glasses you worked so hard to get won’t expire by then, per NASA! If you don’t want to keep your glasses until then, you can donate the glasses to Astronomers Without Borders so that children in South America and Asia can safely watch the next eclipses in 2019. 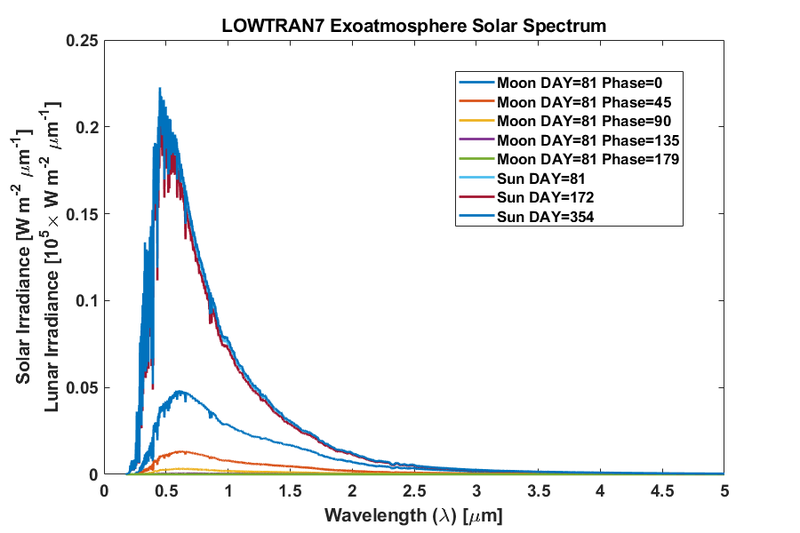 A MATLAB Implementation of "Elements of Solar Eclipses"